Jupiter retrograde delivers up some amazing times. The days have flown by, fueled by the sun in Aries and the new moon of April 5th. Aries is a sign of new beginnings, but did you also know that Aries is also associated with miracles? Specifically, the season of Aries feeds your ability to create miracles. Kabbalah teaches that while the Sun is in Aries, the force that assists you in manifestation of miracles is activated. I just finished up a rich and rewarding Soul Aligned series. During the eight weeks of the program, as a group we examined different ways that you can learn and practice to speed up manifestation skills. Actually, manifestation is one of the topics that Fateh Bolivar and I will be teaching at our Mysticism in Morocco retreat, Sept 22 – 29th. (see more below) Over the years, Fateh and I have co-led retreats to Bali and India, and this year, we have chosen Marrakesh, Morocco as our destination. We’d love to have you join us this year, too. Aries is a sign of courage, initiative, and action. Immediacy is one of the qualities that feeds manifestation and making miracles. Isn’t it nice that the zodiac has incorporated the wisdom of getting out of your own way as a first step to being a wise human being? Aries nurtures enthusiasm with a love of freedom fueled by fire – the prime element of spiritual expression. The subsequent signs such as Taurus, Gemini, etc. each play a role in your journey to development, but the story begins with Aries. Prime. Cardinal. Creator. Learning to Share. Happiness. So, with the Sun now in Aries until April 20th, how can you not be happy? If problems or situations have gotten you down, do the energetic work of realigning yourself to gather strength. And then, connect with Spirit. This is a season of authenticity and union and if and when you ASK for answers, they will come. Next, take some time for self-nurturing; settle into a massage or a lovely meal. There are some more supportive planetary happenings in the world of Fire. Notably, Chiron, the planet/asteroid is now in Aries until April of 2027. With both the Sun and Chiron in Aries now, this is a time when you are more likely to get intuitive messages; whispers from your subconscious mind or Higher Self when you receive clarity and guidance. Pay Attention! Also, Jupiter, in the fellow fire sign of Sagittarius, is now in retrograde until August 11th. One way to think of Jupiter retrograde is visualize a crossword puzzle. 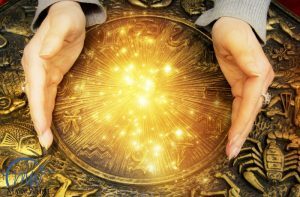 The retrograde period is your time to read the clues and fill in the blank boxes so that when Jupiter is again direct, you have managed to complete enough words so that you get the big picture. Really, Jupiter retrograde presents a perfect opportunity to enjoy your life. But, Sunday, the 14th, the Sun trine Jupiter delivers one of the most positive days of the year. With both the Sun and Jupiter shining bright, I urge you to make Sunday a day to remember. Plan something special – now. Wishing you many blessings on your journey! Welcome to your star cast for the week of March 11. This week begins with grounded Taurus moon setting the tone. Last week’s Pisces New moon yielded fertile ground for productivity this week. And Monday fulfills the new moon promise as the moon conjunct Mars mid-day presents a great opportunity to get your week in motion. It’s also important to know that the asteroid Vesta now sits between the Sun and Neptune. The glyph (or symbol) for Vesta is meant to portray a single flame burning brightly. When Vesta is activated, it’s a great time for focus. Think of it as shining your Light. 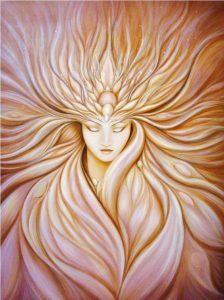 So, Vesta conjunct the Sun and Neptune adds a beautiful glow to this deliciously fertile week. Actually, we need this richness now. Pluto and Saturn are traveling closely together in Capricorn, and Mars in Taurus adds a serious flavor to the mix. With Vesta active, you can really dig in and approach your work with devotion. Sometimes, however, Vesta leaves you feeling like you’re working all alone. Loneliness is the shadow side of Vesta, so, reach out and touch someone! Carpe Diem – pick up the phone, schedule lunch with a friend, and be sure to laugh and celebrate the day. There are two major planetary aspects this week; Mars trine Saturn on Thursday and Mercury square Jupiter on Friday. I always think of Mars and Saturn in military terms; Mars is a soldier, and Saturn speaks to his or her capacity for discipline and planning. Yes, Mercury is retrograde now, but don’t let this stop you in moving ahead. Attention to detail is a signature of Mars trine Saturn. Saturn actually controls and directs the energy of Mars, helping you get traction on difficult projects – things that you couldn’t conceptualize or find the time to work on. And then, on Friday, Mercury square Jupiter adds icing on the cake. This planetary combination helps you to see the whole picture. Mercury delivers the facts and figures as Jupiter expands your vision. Mercury square Jupiter makes this a great week for seeing and correcting mistakes while setting up positive outcomes. All in support of the Libra full moon on March 20th which is the same day as the Vernal Equinox. 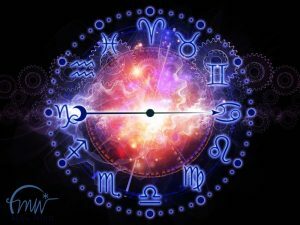 Have you noticed that the timing of celestial events in 2019 is very precise? This month’s full moon coincides with the equinox and even the full moon of April is on Good Friday. This is one good reason to keep astrology and your own personal chart as a close ally. Now more than ever, you want to know where you’re going, and the best way to get there. This week we plunge into the waters of a Pisces New Moon, exact on Wednesday. Collectively we are plunged deeply into a water world as the Sun and Moon join Neptune at 15 degrees of Pisces. Apply your intention to set up a roadmap for the month ahead that helps you to harvest the treasures that wait. There are many things to be accomplished as the moon undergoes her monthly rebirth. And this New Moon conjunct Neptune insists that you follow you inner guidance. When in doubt – just settle into your breath and tune in. Neptune can be ‘foggy’ but what you want now is crystal clear clarity. Neptune trains you to master the fine line between fiction and reality. Too many fantasies, and you dissolve. Over reliance on hard cold reality makes life dull and uninspired. Dance, art, and music are all bedfellows of Neptune. One of the most exciting things to understand about this lunation is that water, the domain of Neptune and Pisces, houses a world of riches. Think about the buried treasures that lie hidden on the ocean floor and the plentiful marine life such as plankton and kelp. Fish. Dolphins. Whales. The abundant life held within water conveys the wealth of Neptune. And this abundance is what you can harvest in the month ahead. As in any waterworld situation, your mission is to not get lost. The confusion specialists will continue to confuse as the liars will keep thinking that they can lie, especially with Mercury retrograde until March 28th. 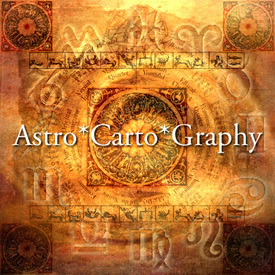 Don’t worry because the Aries new moon of April 5th sits in a tight square (challenging aspect) to Saturn and Pluto. Plus, Jupiter in a long term square to Neptune for much of 2019 creates a testing ground for truth versus reality. As we sit today, Neptune is notorious for laying down a confusing fog which is why it’s important to have clarity of intention for this new moon. Wishing you a world of love, joy, music and dance. Hello and Welcome to my weekly Star Cast, where I bring you the update on what’s happening in the world of astrology – and how you can apply the wisdom to enrich your life here on earth. This week delivers a dynamic conjunction of Uranus and Mars – exact on Wednesday, February 13th. When these two are joined, rebellion is in the air. The issue becomes: what is your price for freedom? Mars signifies physical energy and vitality, and Uranus delivers sudden actions. Both of these qualities have a positive side, and indeed, Mars conjunct Uranus can add the impetus to accomplish great tasks. The problem comes when one is dealing with suppressed or shadowed rebellion. Mars also fuels aggression, and Uranus sometimes delivers the last thing you thought you wanted when you least expected it. So, generally, this is a week to remain calm, be mature, and walk your talk. When you’re not clear about your motivations, the unpredictable side of this planetary conjunction can manifest. For example, you want to be free of your job; but if you’re holding on to resentment and anger your freedom may show up as time off due to an accident. Mars conjunct Uranus is also a classic driver of rash behavior. You may be ready to tell someone off, but rather than an attack, why not choose a time for honest and clear communication that honors both parties. Mercury, the planet of communication, entered watery and intuitive Pisces on Sunday, February 10th. Here, logical Mercury has a chance to surrender to his softer side. Mercury in Pisces favors creativity. Surrender to the beauty of music and poetry to temper the crosshairs of Mars and Uranus. This week does mellow out by Friday, when the Cancer moon comes in to break the tension. And, again on Saturday, the moon really settles in to modify and soothe the pressure. All in all, we’re building up to another Supermoon Full Moon next week on February 18/19th at zero degrees Virgo. Virgo is a sign of refinement and purification; looking forward to this elegant Full Moon.